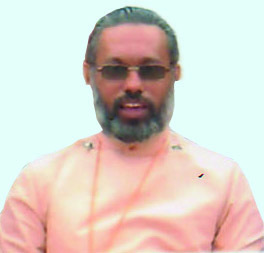 Mar Thoma Gram Jyoti Sr. Secondary School Khtiola , is a religious Minority Un-aided School Affiliate to the CBSE Board under the Management of Mar Thoma Gram Jyoti Education and Development Society. Mar Thoma church is founded by St. Thomas in A.D. 52. It is purely an Indian Church, and its head quarter in Kerala. For the function of the Church and its Institutions, it is the moral responsibility of the members, to contribute at least their ‘Twieth’ of their income every month. Mar Thoma Church has no foreign aid, but all by its people and for the people. Gram Jyoti School in Sihora was started with the blessings of Christa Panthi Ashram and its pioneer was Late Rev. M.M. Abraham. “Gram Jyoti” means Light to Village. Education is light. Light comes from God. “The fear of the Lord is the beginning of knowledge” God is Love, Truth and Light. God has no religion. So our aim is to give qualitative and value education to each and every student irrespective of Caste, Religion and Social Status. The school stands for the total development of the students (Physical, Mental and Intellectual) who are studying in our institution. We cannot make intellectual giants, but we want to develop right perspectives, noble ideals and to prepare the students for the service of society and nation. It is my hope, wish and prayer that each student who enters in our school would be fully equipped to face challenges of the society before leaving the school.